Are you interested in leading a team to build out a world-class AWS Management Console Platform? Do you want to revolutionize the way people manage and derive insights from vast volumes of data in the cloud? Do you want to have direct and immediate impact on a large number of AWS users? Amazon Web Services (AWS) is one of Amazon’s fastest growing businesses. At AWS, we are passionate about thinking big, innovating on behalf of our customers, and tackling problems at scale. Millions of customers, from independent developers to large enterprises, interact with AWS by using the AWS Management Console (Console). AWS Management Console is the customer's first interaction with AWS, and for many, the primary interface to accomplish a wide variety of tasks. Improving this experience, while innovating at an unmatched pace, requires rapid experimentation, along with good mechanisms for gathering and understanding user behavior and feedback. As the owner of Console Platform Services, we enable AWS teams to build all consoles in every AWS regions via a number of highly available services. · Lead the team in building a best-in-class technology platform. · Oversee an exceptional group of engineers with a strong team-oriented culture. · Attract, excite and retain a team of best-in-class engineers. · Mentor the professional development of each direct report through personal and performance management and coaching. You are a builder of products as well as a builder of teams. You are a seasoned technical leader capable of driving the development of leading edge console platform technology with an innovative spirit, love of technology and ability to wear many hats. You have extensive experience managing Internet and middleware technologies in online businesses and are fluent in discussing distributed computing, data management, networking, optimization technologies, and object-oriented programming with senior architects and technical leads. 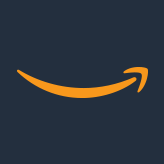 Finally, your high energy and tireless commitment provides your team with the focus needed to deliver an exceptional service to thousands of Amazon Web Services customers. Along the way you’ll learn a ton, have fun, and make a positive impact on our business.